A friend of mine from across the pond asked me to describe Screen Wives sound to them, and as we all know the easiest way to describe a band's sound is to pick two other bands and then describe it as being on some kind of drugs. 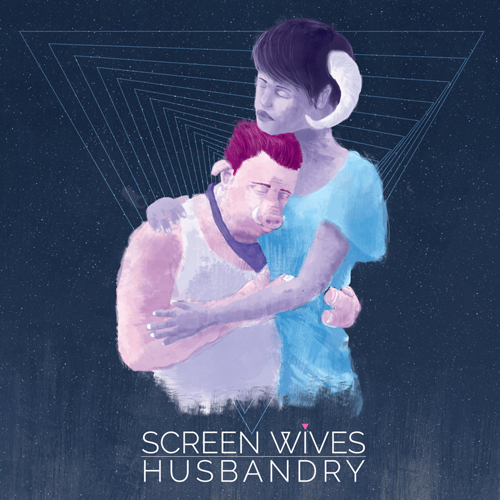 Which is unfair to Screen Wives really as they don't sound like any bands I'm currently aware of and this is a very good thing indeed. Although if pushed I would probably say "90s Dischord crossed with Presents-era Jerome's Dream, on poppers". To which my transatlantic friend initially said "Well that sounds weird" and later "That's pretty accurate". Husbandry is a step up on all fronts from 2014's Women in Love EP. The songs are more frantic, the guitars are bendier and weirder, the drums clatter and roll around at lightspeed, production is punchier and the lyrics are more righteous and more personal. Go and see them if you can because they're a great live band too.